Yet another excellent suggestion visiting the game from RuneLabs this month will be the idea of using vis wax to charge quick teleports, permitting you to use lodestones in super quick time. Thanks to F D C due to this cracking idea. It simply goes to show that RuneLabs can often suggest every little thing! This month, we'd like that you ask a tale question that we'll answer in the medium-sized quest. Would like to know what happened to King Vallance? Ever thought about why H.A.M. always wear pink? 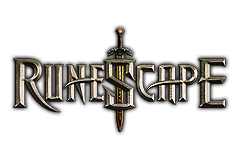 Visit RuneLabs now!